This sushi restaurant is quite popular, and I recommend making reservations beforehand as the wait may be long and there is not a whole lot of space to stand and wait. My boyfriend and I came here on a Saturday night for dinner around 8:45, and were seated fairly quickly since we had reservations. The restaurant is very casual and pretty tiny, with limited seating space and a sushi bar. There was also some construction in the parking lot. The service is excellent. All the staff were friendly and the food came pretty quickly even though it was pretty packed. 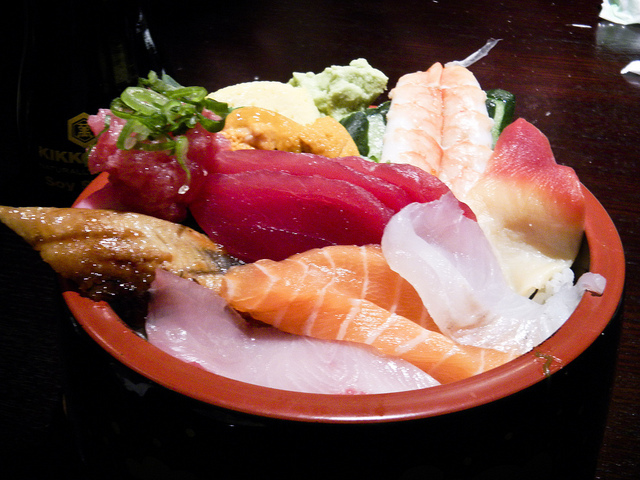 If you love sushi, you must try the Special Chirashi Sushi. Both Tim’s and my dinner came with miso soup, and my Katsu Don also came with salad. 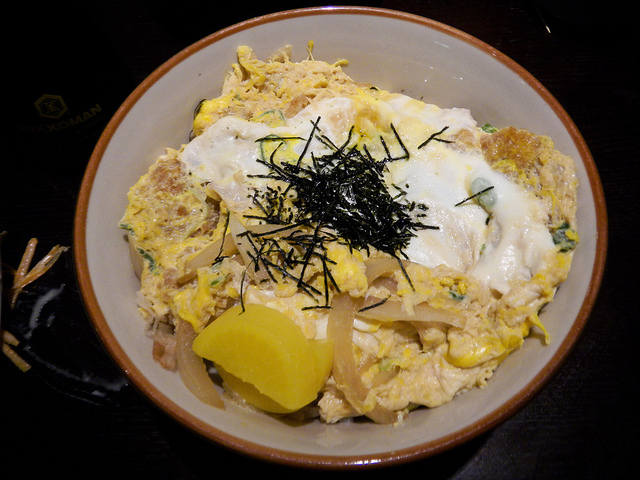 Katsu Don – Pork cutlet with egg over rice. Huge portions that I could not finish. The sauce was yummy but the pork seemed a bit dry to me. Special Chirashi Sushi – a winning dish! A variety of sushi which includes fatty tuna unagi (eel), and sea urchin. We never tasted sea urchin before so it was quite a surprise. Everything is served cold (even the cooked eel and shrimp) over sweet sushi rice. 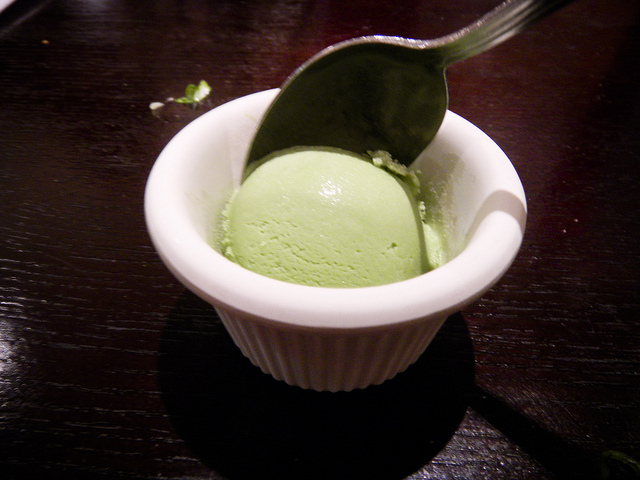 Green Tea Ice cream – this single scoop was complimentary, yay for free ice cream!